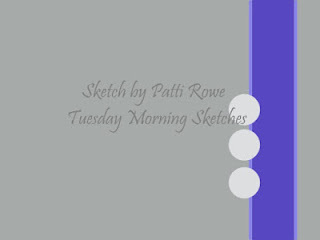 Hello everyone: This week, over at the Pals Paper Arts there is a color challenge hosted by the fabulous Brian King. I've known Brian since he started blogging, I have participated on this card swaps and he has been a sweet and wonderful friend through out all of this years, helping me smooth out the rough edges of my own blog with tips and suggestions on how to do it right, for that, and a bunch of other things, I'm so very grateful. So, how can I pass the chance to play along with his color challenge? no way!! here is my card, made with a brand new and incredibly cute and beautiful SU set called Pretty Kitty. Ok, is this image cute or what?! I stamped it onto a piece of Strathmore 90lb. water color paper with Stazon Jet Black ink and colored it with the aqua painter and SU markers in Real Red and Night of Navy, I use a bit of white gel pen for the round flowers and a bit of Wild Wasabi for the stems and the grass. The kitty was colored with my Prismacolor pencils because I wanted the kitty to have "fur". The card stock and ribbon are from my stash, the red piece was die cut using Spellbinders Fleur de Lis die set, I just found this very patriotic ribbon in the dollar bin at my local craft store. The sentiment is from the same set, the little flowers are done inking just one of the images on the retired "Bordering Blooms" set with Real Red and Night of Navy markers. I masked the little flower pot from one of the stamps in the set called Sassy Succulents from Power Poppy. This is the color banner that inspired my card. 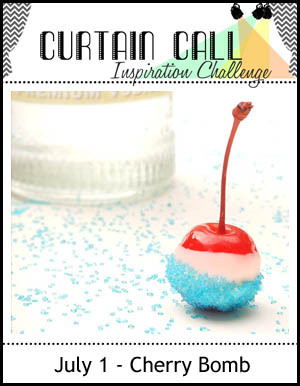 I'm also linking this card to the Curtain Call Inspiration Challenge "Cherry Bomb"
Hello everyone: Well, this week over at Addicted to Stamps and More! they are celebrating 2 amazing milestones.....their 200th. challenge post and their 4th. birthday, isn't it awesome??!!! and they are asking us to join in the fun creating birthday cards, here is mine. From the very first time I laid eyes on this Katzelkraft cats from the set Les Chats Russes I fell in love with them, each image gives you the chance to create scenes or situations that are so funny, I'm laughing as I'm stamping them. To make this card I used, besides this images of the singing cat and his "pal" the chubby mouse, a few other sets, to help me create the situation I wanted, I will list them at the end of this post. I stamped all of this images, except the mouse, onto Canson water color paper and colored them with SU markers and the aqua painter. I die cut the musical notes in bright colors to compliment the colors of the gifts. Now, in my first thought I just wanted the cat on the table by itself but, he needed something and that something was that mouse. But the cat and the gifts were already colored and I couldn't stamp the mouse next to him, it would look awful so, I stamped the mouse onto some water color paper but it was hard to fussy cut, specially the tail so, I took a deep breath and stamped him onto a piece of copy paper, colored him with Prismacolor pencils and proceeded to fussy cut him. The tail is thin and wavy, but my paper snips are awesome and I was able to go around the turns on this tail with not to much trouble, well.....I actually have this big magnifying glass that I hang on my neck so I can see much better what I'm doing, specially this very detailed tail. I took a brush and lifted the tail just so you can see how darn thin it is. Don't you just love this little critter? Oh, I could just squeeze him. The sentiment is from the retired SU set called "Perfectly Penned", the cake is from the retired Flourishes set called "All Wrapped Up!" and the fireworks from The Ton set called "Pyrotechnics" awesome for any kind of celebration. Here is the inspiration photo that inspired my card. 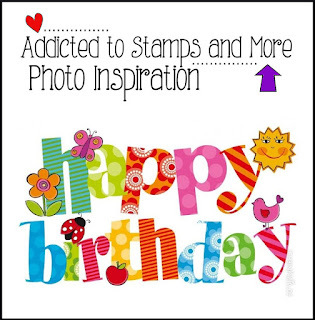 Hello everyone: I have a card to share with you I made with one of my most favorite new Stampin Up! sets in the new catalog, Sitting Here, I'm sure you'll agree it's simply beautiful with all of this fantastic stamps to create lots of sweet scenes. Here is my card. The Mojo Monday has a sketch that is just perfect for the image of the swing and over at Fab Friday the color challenge shouts 4th. of July, I love it when I can combine challenges this way. I stamped all the images on Canson water color paper with Versafine Onix Black ink and heat embossed them with clear embossing powder, I fussy cut the kitty and pillow and colored everything with SU markers and the aqua painter. The Cherry Tree branch is from a retired SU set called "Eastern Influences". I sponged the sky with Broken China distress ink and colored the Cherry Blossoms with Pretty in Pink marker. The card stock and ribbon are from my stash. The sentiment is from a retired SU set called Perfectly Penned and the little image on the corner, from a retired Flourishes set called "Patriotism on Parade". Hello dear friends: It's time for another fun challenge at Shopping Our Stash , this week we want you to share your creations depicting "Things that grow in the Garden", from flowers to veggies to fruit. I wish I had a green thumb but the only things I can more or less, successfully grow are tomatoes in containers, which is great because I just love them. My flowers grow perfectly fine, it's just things to eat that I have trouble with, I would love to have herbs planted, maybe I should grow them in containers too. So go take a look outside in your own garden or your neighbor's garden and make a card to share with us and, if you need some inspiration, go check out the rest of the Designer Team's blogs, I'm sure you'll enjoy your visit and will get your MOJO going. Here is my card. This card was made using one of the beautiful images from Power Poppy's set called Sage Advice, which was released a year ago, love this set. I stamped the image onto Canson water color paper with Stazon Jet Black ink and colored it with SU markers and the aqua painter. The small yellow gingham ribbon and the scissors were stamped onto scrap pieces of Strathmore Multimedia 90lb. water color paper so I could fussy cut them, this paper is thinner than Canson's 140lb. I use most of the time, therefore easier to cut by hand. I die cut this image with the retired Label Collection dies from SU and did a bit of paper piercing around the blue frame. The green panel is stamped with another one of the images from this set, such a pretty line of fragrant herbs, the sentiment is from the set too. Both the sentiment and the sprig of chives are from the same set. So go on and look in your stash of stamps and join us in the gallery, we can't wait to see what you create. For awesome inspiration, stop by my team mates' blogs. Hello again, everyone: Every time there is a challenge that's asking for stenciling, I say to myself "Ok, this is it! !, I'm getting some stencils!!!" and, for one reason or another, I never do. I have ONE stencil that was gifted to me by my friend Claire Grantham and it's of a Honeycomb, I've used it several times but this time, I wanted another design that would look good with the stamp of a Dragonfly I've been wanting to use so, I went ahead and created my own stencil, here is my card. The stenciled image was made with THIS Tim Holtz thinlits die set, I just cut a piece of card stock with it and taped it to my water color paper with washi tape. The sponged colors are done with Seedless Preserves, Shaded Lilac and Spun Sugar distress inks. The Dragon fly image is from a retired SU set called Nature's Nest, which is simply gorgeous. I colored it with THIS SHIMMER PAINTS from Impress Rubber Stamps. The sentiment is from a retired Flourishes set. I'm linking this card the "Less is More" challenge, hosted by their brand new Designer Team member ESTHER, hope you can go visit her blog and leave her some crafty love, her cards are always gorgeous and to the Addicted to CAS, CODE WORD "FLY". Hello everybody: I have a card to show you today made with one of my old time favorite sets from Altenew called Persian Motifs, I love this beautiful floral images, they are fun and easy to color in any medium, I chose Prismacolor pencils this time, here is my card. I stamped this image with Versafine Onix Black ink onto Strathmore Multimedia water color paper, it is smoother than the Canson water color paper I use and I found out it takes the pencils and the paper stumps with baby oil much better because it's thinner and this helps blending the colors so much better. I really tried to keep it CAS but, when I was done, I felt the flower needed something so I reached for the SU Gorgeous Grunge dots and stamped them in Tangerine Tango and Daffodil Delight, the sentiment is from the set and it's also stamped with Tangerine Tango. 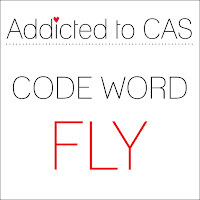 I'm linking this card to the Addicted to Stamps and More CAS challenge. Hello everybody: Summer is well on it's way and that means, my grandkids are here, specially if it's hot, so I'm busy but I love it. 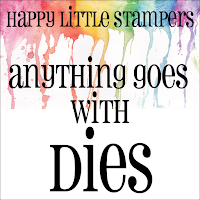 I'm linking this card in the As You Like It challenge "Favorite Die and Why?, the Happy Little Stampers "Anything Goes with Dies" challenge and the Tuesday Morning Sketches challenge, which has only a few hours left so, without further delay, here is my card. This little Hedgehogs are in a rush to go to a party, they are from the Penny Black set called WONDERFUL, I used 3 of the images, the one holding the balloon, was masked just so I can die cut the colorful balloons and add them to the panel, as well as the clouds, to follow the design of the sketch. I love the clouds dies, there are actually 3 sizes but I only used 2 and the Balloon die set is also fabulous, it has 3 different sizes and shapes of them. I stamped all this adorable critters onto Canson water color paper with Versafine Onix Black ink and colored them with SU markers and the aqua painter. The sky is sponged with Broken China distress ink. The balloons are die cut with some scraps of Christmas wrapping paper. The sentiments are from Flourishes and Penny Black. I turned the sketch on the vertical but kept my card on the horizontal, I hope you can see who I interpreted the sketch.